I first put eyes on North Carolina 23 years ago this month and through what turned out to be a fortuitous mistake my first glimpse included a 40-mile span of I-40 roadsides that illustrated both the desecration and blight created by outdoor billboards and the sublimeness of their absence. I flew in to RDU to interview as the start-up CEO for Durham’s first-ever official community- destination marketing organization (DMO) but I was picked up at the airport by an old friend from Washington state, Dave Heinl. He and I first got our start in destination marketing in the 1970s, he as director of sales in Seattle, west of the Cascades and I in the same position for Spokane in the foothills of the Rocky Mountains to the far east. Waiting our turns to make competing presentations to host large conventions back then had given us time to become acquainted and earn one another’s respect in both victory and defeat. Yes, occasionally much smaller Spokane would prevail and I was asked to lead that DMO. Having successfully transformed it into a stand alone organization, I went on to head the DMO in Anchorage for most of the 1980s while Dave headed off to similar positions in Hartford and Portland, Oregon before jumpstarting the one in Raleigh, a post from which he eventually retired a few years before I did from the post in Durham two years ago, more than two decades after accepting that position. He was excited to pick me up at the jointly-owned airport located midway between the two very distinct cities because he anticipated correctly that I would be a good fit for Durham and we both wanted to catch up. Busy pointing out assets that had been claimed by Raleigh but really belonged to Durham, Dave missed the turn for I 40 onto the Durham Freeway that would've taken me downtown to my hotel. We were so busy talking as we traversed across southern Durham that Dave also didn't detect that I 40 W had just opened and we were halfway to Greensboro before we realized it and turned back. I realize now that Dave’s preoccupation and oversights that day gave me the perfect “with and without” introduction to the state’s struggle to protect its roadside view sheds and vaunted sense-of-place from billboard blight, one that continues to this day. As we turned around in Burlington to head back to Durham I saw a worst-case example in that otherwise delightful little town of what happens along an interstate that is undefended from the excesses of billboards and development without regard to sense of place. It remains the perfect example of what not to do and how precarious sense of place is in a scenic state such as North Carolina. The effort that ensured that I 40 through southern Durham remains a spectacular “best practice” example of what can happen when roadsides are protected began in the mid-1980s, four years before I arrived here, with the encouragement of the Durham Chamber of Commerce, which ironically and inexplicably but unsuccessfully tried a few years ago to aid the overturn of Durham's nearly 30-year-old ban on billboards. The committee was chaired by Barbara V. Smith, a Duke development executive, who would later serve as the chair of my DMO’s governing board and still lives here at The Forest at Duke. Her committee included recently retired 30-year Durham County Commissioner Becky Heron, who also went on to serve on my governing board, as well as City Council member and Republican Jane Davis, who spearheaded the citywide billboard ban. 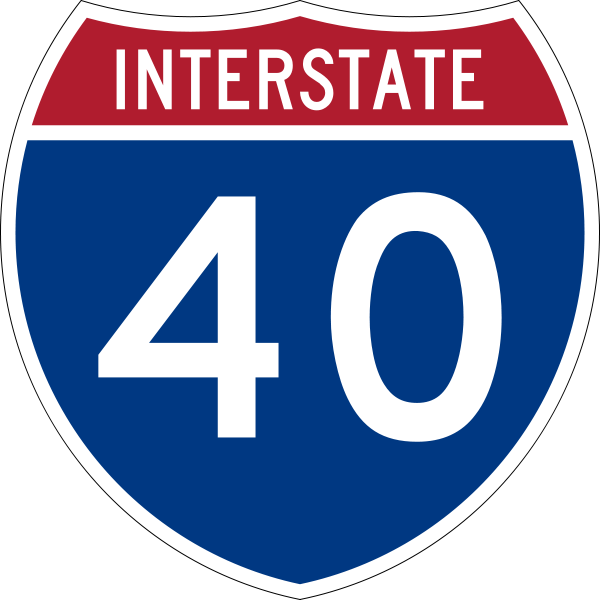 In consultation with land owners along the route of the proposed I 40 through Durham, the committee successfully spurred local legislation that prohibited billboards on that stretch, but also established very effective screens including trees, setbacks, landscape standards, sign standards and other elements to also preserve and protect environmentally sensitive and historical assets. Drive that stretch of I 40 through Durham today and less than 40 miles from the desecration seen as the highway passes through Burlington, you will see how all roadsides in North Carolina could, should, and hopefully will one day look throughout the state of North Carolina. It is on the shoulders of visionaries such as Barbara, Becky, Jane and other members of that committee and that far-sighted, mid-1980s City Council and Board of Durham County Commissioners that many of us in a statewide organization called Scenic North Carolina stand today in defense of North Carolina's public roadsides as NCDOT moves to permit clear cutting of hundreds of thousands of publicly-owned trees by the outdoor billboard industry. The legislation enabling this give-away is also a direct attempt to override and violate local values and standards along state roadways as they pass through cities and counties and a disgrace to the North Carolina Constitution.